The official site of the best selling Fantasy Black Book Series. #1 on the Amazon Kindle Store in Fantasy Baseball '12, '13, '14 and home of the NEW Fantasy Baseball Black Book 2015! 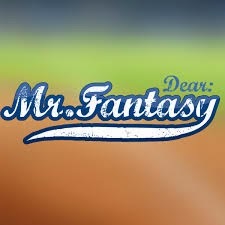 I was lucky enough to do a guest spot on the Dear Mr. Fantasy Podcast with Chris McBrien and The Fantasy Doctor. We previewed second basemen and had a whole lot of fun in between. Best two Canadians since Terrence and Phillip! Their podcast is a great mixture of information and entertainment. They have some killer guests this season and was honored to do my part. We play "Would You Rather", talk sleepers, rookies and answer mailbag questions. Check out the link above or just search for it on iTunes. You will be glad you did! ALSO...BIG2SHOW PODCAST WILL BE BACK THIS WEEK! GET EXCITED! 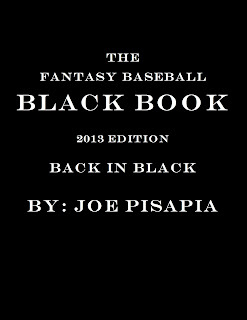 THE NEW FANTASY BASEBALL BLACK BOOK AVAILABLE NOW! Fantasy Baseball Black Book '15 for Apple Devices! Now available on iTunes Bookstore! Get your copy on Amazon today! Will Justin Upton Be a Different Player in ATL?